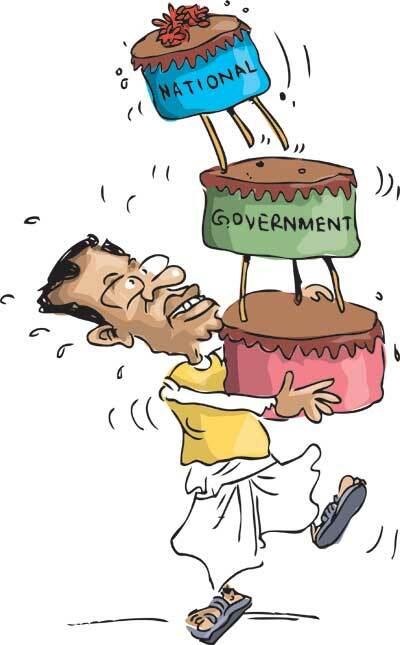 When President Maitripala Sirisena disregarded the call by the local authorities’ members of the United People’s Freedom Alliance (UPFA) to extend the terms of their local bodies, he earned the political wrath of UPFA MPs holding ministerial perks in his Cabinet. In fact, they stated they found the President’s move favouring the United National Party (UNP) over the Sri Lanka Freedom Party(SLFP), the dominant party of the UPFA at this trying time. The decision gave political connotations in this manner as the dissolution of Parliament is now imminent, probably towards the end the month. In the aftermath of this decision, the UPFA MPs, serving in the Cabinet of President Sirisena, have already started criticizing the government, probably as a measure to mobilize SLFPers at grassroots level ahead of the general election. Actually, the SLFP MPs, serving in the present government, have drawn a flak from the rank and file of the party. Against this backdrop, the President’s decision afforded them the opportunity to find a way to break ranks with the UNP-led government for electoral politics. Most local authorities were controlled by the UPFA, and their term expiration are political blows at the party already hit by a myriad of political challenges trigged by the defeat at the January 8th Presidential Election. In essence, the President’s decision left scope for anyone with a political sense to interpret that it is not a move that SLFP can feel happy about. Instead, his decision has been viewed by some party members as a move aimed at strengthening the UNP electorally so that it can emerge victorious at the proposed elections. Such interpretations hold water in one key aspect. It is true that these local government members have mostly thrown their weight behind former President Mahinda Rajapaksa in the hope of capturing power once again. After a further extension of the term of local bodies was ruled out, their political clout was slated to diminish somewhat in their respective localities. It is because they are unable to use or abuse the resources of their respective local bodies for political purposes. Without power, they also lose their political strength in reaching out to people. Against this backdrop, the support base of the former President is slated to suffer a blow, and it will translate, in the end, into the advantage of the UNP. Given this anticipated predicament, the UPFA MPs, holding ministerial posts in the government led by the President on the one hand, and the UNP on the other hand, are disillusioned over the President’s decision. They now contemplate quitting the government sooner or later. The day of their departure will be determined according to the timing of the dissolution of Parliament. Minister Dilan Perera was openly critical of the ignoring of call by the local government members to extend the term of their local bodies further unless fresh elections are called for right now. UPFA Secretary MP Susil Premajayantha also had the same request to the President. President Maitripala Sirisena, at a meeting with SLFPers in Polonnaruwa, remarked that he was not from a traditional SLFP family. In fact, he said his parents were UNPers. He made these remarks as part of a lengthy speech he made highlighting the need for the unity of the party in main. But, his parental lineage to the UNP, is taken out of context and highlighted in the cyber space propaganda campaigns. It is learnt that it has evoked the ire of SLFP seniors. These remarks are used to project a political nexus between him and the UNP ahead of the general elections. Actually, such remarks may not bode well for the President if he intends to consolidate his hold on the SLFP which he took over as its Chairman soon after he won the Presidential Election on January 8. Eighty eight MPs of the opposition submitted a motion against Central Bank Governor Arjuna Mahendran on April 29 . Now, the opposition has upped the heat on the government to grant the debate on the motion immediately. However, the UNP-led government has come out with a legal argument disputing the opposition’s claim. Leader of the House Lakshman Kiriella argued that there was no provision to allow such a debate. He opined that the parliamentary Standing Orders did not provide for a vote of no confidence against government officials. He said Article 55 provided for disciplinary control, appointment, transfers and promotion of public servants , and the Monetary Law for the appointment or removal of the Governor of Central Bank. “These are laws passed by Parliament. It is anomalous for Parliament to bypass its own laws such as these, by trying to pass votes of no confidence against public servants in this manner. It will also set a bad precedent,” Mr. Kiriella said. Mr. Kiriella received appreciation from his leader Prime Minister Ranil Wickremesinghe for bringing out this argument supported by a legal analysis. For the opposition, the involvement of the Central Bank Governor in the controversial Treasury Bond issue is the most horrendous crime ever committed in the financial sector. Former External Affairs Minister Prof. G.L. Peiris put the loss caused by the bond issue at Rs. 50 billion as of now. The party leaders, at the Business Committee Meeting of Parliament, discussed this motion after persistent demands by the opposition members that it should be debated immediately. Some senior members of the opposition were agreeable at this meeting to amend the motion so that it can be put to the debate in a manner acceptable to the UNP. Especially, the UNP insisted that references to the Prime Minister should be done away with. However, MPs such as Bandula Gunawardane, Wimal Weerawansa , Kumara Welgama and others were not flexible in this respect. Their persistent demand resulted in the adjournment of Parliament twice on Tuesday, and the premature conclusion of the session at 3.00p.m. on the day. According to sources close to the opposition, the pressure is being mounted on the government in this manner to advance the dissolution of Parliament for early election. But, the President has announced that it will be dissolved soon after the Constitutional Council is formed in terms of the 19th Amendment to the Constitution passed into law recently. It is an exercise to be completed within two weeks, according to the government. Also, it has been announced that the next Parliament will be formed in September. During the question time of Parliament on Tuesday, Kandy District UPFA MP Eric Prasanna Weerawardane expressed his disappointment about the new government opening school buildings constructed by him during the last government. “I worked hard for five years to complete the work of a school building with modern facilities in my Harispattuwa electorate. Now, it has been opened by the authorities of the new government even without mentioning my name on the plaque. I feel sad. This is a serious situation. They open what we did and get the credit,” he said. Deputy Speaker Chandima Weerakkodi who was presiding over at the moment said, “I also have the same problem in my electorate. It is a matter of concern for all of us. Yet, this is not the time for you to raise it. You cannot do it during the question time of Parliament. So, I am asking you to follow the Standing Order and act accordingly. Tuesday’s question time of Parliament was filled with amusement as UNP MP for the Matara district Buddhika Pathirana devoted some time to raise concerns about the dwindling of the number of crows in the wild. This, he said, has disrupted the food chain. “Normally, crows feast on peacock eggs. The crow population has dwindled in the wild. So, the peacock population has increased. It has affected the maintenance of the ecological balance. The number of monkeys has also increased by leaps and bounds as a result of the same phenomenon,” he said. In his remarks, he was backed by UPFA MP for the Kandy district Eric Prasanna Weerawardane. He said the decline of the jackal population had led to the rise of wild boars in the upcountry. “We have to maintain the ecological balance among the animal species such as jackals, porcupines, wild boar and all,” he said. These talks led to laughter among members across the divide for a while in the House.